Photographic identification guide to the 282 bird species most commonly seen in Hong Kong. The author’s high quality photographs are accompanied by detailed species descriptions which include nomenclature, size, distribution, habits and habitat. The user-friendly introduction covers geography and climate, vegetation, opportunities for naturalists and the main sites for viewing the listed species. Also included is an all-important checklist of all of the birds of Hong Kong encompassing, for each species, its common and scientific name, vernacular name, and IUCN status as at 2012. 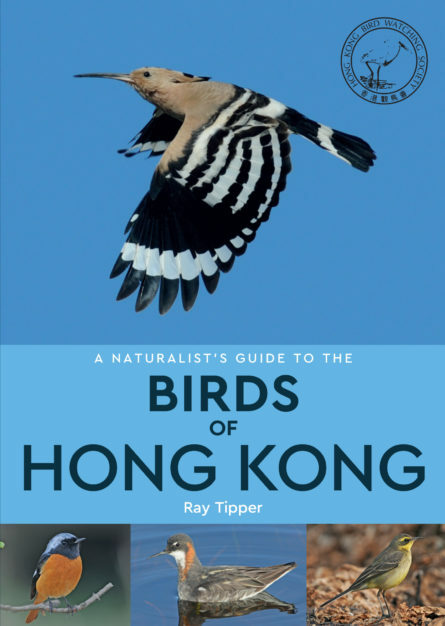 Ray Tipper, ARPS, is a life-long birdwatcher who left his native Britain in 1973 and spent most of the next 22 years engaged in Hong Kong. Here, he became a trustee of WWF and was intimately involved with its renowned Mai Po Marshes Nature Reserve. It was in Hong Kong that he turned to bird photography which quickly became his major interest. He is an associate of the Royal Photographic Society and his photographs are regularly published in journals and books all over the world. Bird photography remains his passion yet he still retains his love of birdwatching and has led close to 80 tours for the British bird tour company, Avian Adventures, in Europe, the Americas, Africa including Madagascar and Asia. He now spends much of his time in the Algarve, Portugal where his expertise has been acknowledged with his appointment to the Portuguese Rarities Committee.